It is said good thing come to those who wait and this certainly applies to Lost Corner Preserve. After almost a decade of planning and construction, Lost Corner had its opening ceremony on the morning of March 17th. It was a beautiful Spring day as Mayor Rusty Paul, the Sandy Springs City Council, and The Friends of Lost Corner founders cut the ribbon to officially open the park to the public. Lost Corner is a beautiful 24 acre preserve located in the heart of Sandy Springs at 7300 Brandon Mill Rd. (at the corner of Riverside Drive/Dalrymple Road and Brandon Mill Road). The Conservancy was actively involved in making Lost Corner Preserve a reality by working with the Trust for Public land to raise money and create a deed making sure the land was protected and preserved as a passive park. 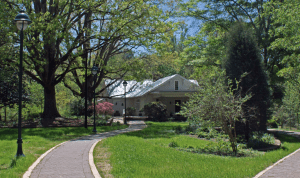 The Conservancy donated matching funds as part of a grant from the Department of Natural Resources to install almost a miles of beautiful, walking trails on the property. 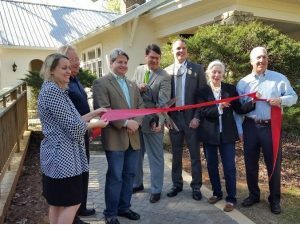 SSC also gave a $10,000 grant of seed money to The Friends of Lost Corner, a non-profit group created in conjunction with the City of Sandy Springs, that works to promote the park as a usable recreation area for residents to enjoy. To read more about this event, CLICK HERE and the history of this property, land donor and park amenities visit the Friends of Lost Corner WEBSITE. 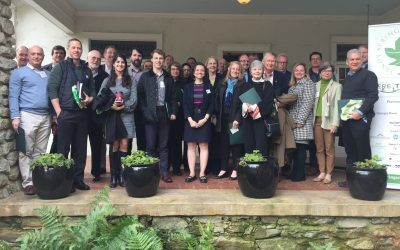 The Sandy Springs Conservancy, Inc.
© 2018 The Sandy Springs Conservancy is a 501(c)(3) tax exempt, not-for-profit corporation. Website by ShiftWeb Solutions. Admin Login.